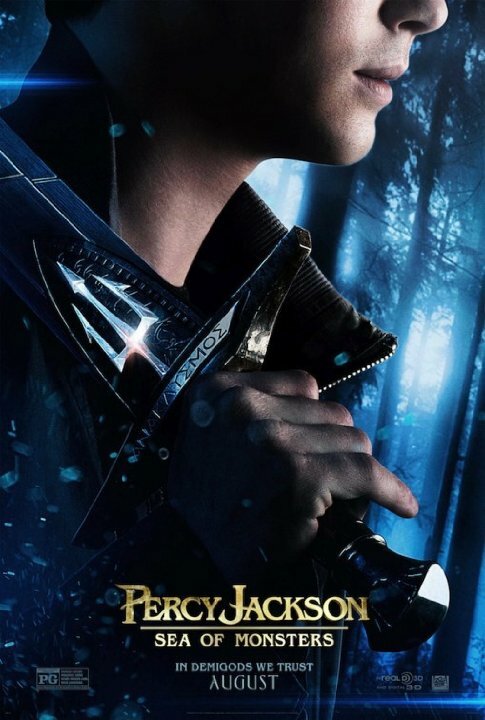 “Percy Jackson and the Sea of Monsters” is a thrilling story on paper that many adore. However, on the big screen, it falls incredibly short. Those who haven’t read the book have nothing bad to say about it but to those that have read the book and then went to see the movie, it’s nothing but criticism. The main problem with the movie is that Percy, Annabeth, and Grover are not at camp Half-Blood but in fact at another high school, where they meet Tyson and go back to Camp Half-Blood to find out that it’s under attack by a mechanical bull. After defeating the bull, the whole camp discovers that Thalia was once a demigod, like Percy, who was the daughter of Zeus. Thalia sacrificed her life to save Luke, Annabeth, and Grover, as Thalia lied dying on the ground, Zeus took pity on her and made her into a tree that would protect the whole camp. In the book many assume Chiron, the camp overseer, did it because of his old connections to the Titans, so the gods bring in Tantalus from his prison in Tartarus. However in the movie it starts off at Camp Half-Blood, so the first part in the movie is already messed up. In contrast to the book nobody blames Chiron for the poisoning of Thalia’s tree. In the book, Percy has a dream about Grover they are then able to talk through an empathy link which lets them communicate with each other through dreams. In this dream Grover tells Percy that he is being held captive by a cyclops called Polyphemus in the sea of monsters. When percy tells Annabeth about his dream she believes that Grover may have found the Golden Fleece. The golden Fleece is believed to cure anything, even the disease plaguing Thalia’s tree. In the book, Percy and friends set sail towards the rumoured Sea of Monsters, which is believed to be in the notorious Bermuda Triangle. Their ship, the CSS Birmingham came under attack and was eventually destroyed by the sea monsters Charybdis and Scylla. When the ship’s engine explodes due to overheating Percy and Annabeth are able to escape by a hair on a wooden raft. However, in the movie they get eaten by a monster and find Clarisse and join her on the SS Birmingham, and together escape the monster and head to the Cyclopes layer. In the book, Percy and Annabeth head towards a nearby island, where they find “CC’s Spa and Resort”. The resort’s owner is the sorceress Circe, (which was taken out of the movie entirely), while the spa itself is actually a prison for male demigods.When Annabeth is taken away from Percy by some of Circe’s workers, Circe turns Percy into a guinea pig. There are six other guinea pigs with Percy in confinement. when Annabeth frees the guinea pigs she feeds them Hermes’ Vitamins. Due to the vitamins the guinea pigs turn back into humans. The other guinea pigs happened to be the fearsome pirate Blackbeard (Who is a demigod, son of Ares) Percy and Annabeth escape the island on Blackbeards ship, The Queen Anne’s Revenge. In the movie they completely cut out this whole part. In the Movie, when they reach “Circe land” they find out that luke is there and ends up “killing” Tyson, who later comes back and helps. However in the book when they reach the Cyclops’s Lair, Tyson does no get killed. When they eventually get the fleece they head back to camp. When they get back to camp Chiron is back due to the fact that he was found innocent. But the biggest mistake/disappointment was in the movie were after they got the fleece luke stole it from them and brought Kronos the Titan back to life. Then after a “huge” battle Percy defeats Kronos. Which is stupid because in the book does not come back at all. In both the movie and book, they put the fleece on Thalia’s tree and Thalia comes back to life. But the only problem is that in the books there was a prophecy from the Oracle Dalphin. The Great Prophecy is what sets up the series and they have not included any info in either of the movies. The Prophecy states that a child of the big three will either save or destroy the world. Now there are two children of the big three Percy (Son of Poseidon) and Thalia (Daughter of Zeus). So if you have read the books you will be disappointed with the movie, and if you are thinking of watching the movie, just stop and read the book. It’s a lot better.